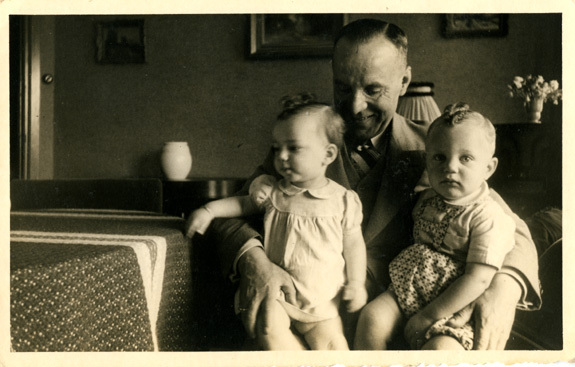 Dientje with her paternal grandfather and her first cousin in Dientje's home, 24 Hoogeweg, Bussum, Holland. Dientje lived over her grandfather's store. He sold clothes for the working class, fabrics, and needles. Left to right: Dientje, Nathan Krant (paternal grandfather), Gabriel DeLeeuw, 1939.